What a gorgeous cool and run. I would love to see plans and hear more about your build. "More pictures! But looks good." I would have loved to see the inside and more detailed photos. But looks good from what I can see. Ditto! Would love to see the layout and dimensions of the inside, as well as the dimensions of the outside. 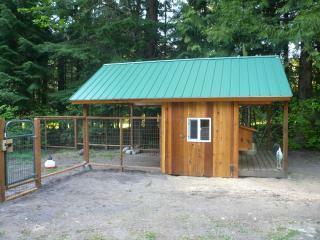 Do you have interior pics or plans for this coop? Thanks! 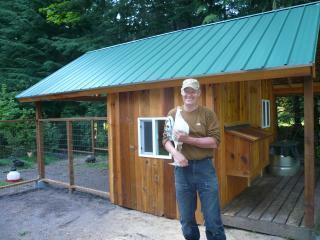 Great looking coop and a happy chicken owner it looks like! 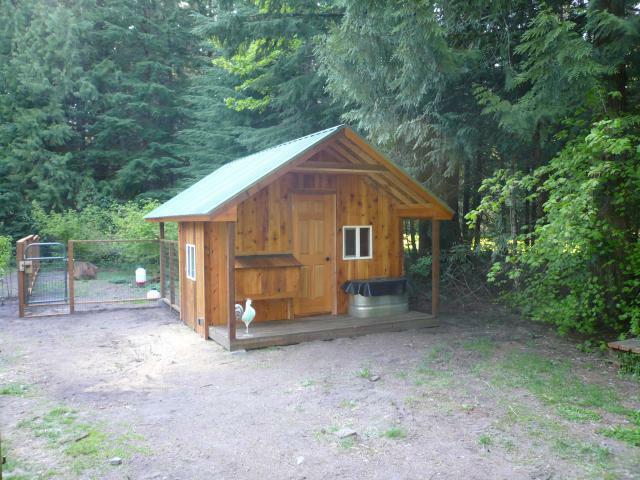 Come build me one just like it! !